Know Jamaica answers the most common questions we receive regarding traveling to Jamaica. Please feel free to contact us with any questions you still have! General Q&A regarding Jamaica and traveling to Jamaica. Share this info! Jamaica is more fun with more friends! Yah Mon! 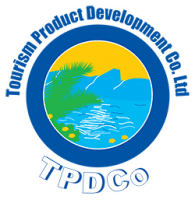 About Us and Our Jamaican Tourist Services- Know Jamaica answers the most common questions we receive regarding getting the Know Jamaica authentic experience on your visit to Jamaica. How, where, and when do we meet you? Great question. When you are in Jamaica, you are our guests. We will pick you up from any airport, resort, villa, or any other place in Jamaica. All you need to do is get in contact with us before you arrive so we can make arrangements. Many activities and tours are at set times, and many others can be enjoyed at any time. We work with you to get you to each destination safely and on time. Will I be refunded if my cruise ship is unable to dock? If you are unable to take your scheduled tour due to circumstances out of your control, such as your cruise ship not docking in Jamaica as planned, you will not be charged or will be refunded if you paid in advance. We are currently accepting cash only which will be due upon arrival. Online payment options will be available in the near future. What is the down payment and when is full payment due? There is no down payment permitted at this time. Your payment is expected to be paid in full at the time of pickup. Can I pay with a credit card at the time of the tour? No, all payments are to be made in cash only. Is lunch provided with tours? The tour price does not typically include meals. However, if you would like to include time during your tour to enjoy some Jamaican cuisine, that can easily be scheduled in advance! Please check the information on our site about each tour or just ask. Some tours include a free Red Stripe, soda, or water to enjoy during the rides to and from your destination. How will we be transported on our tour? Our fleet of transportation vehicles allows us to accommodate any size group. We have vehicles with maximum capacities of 4 guests, 7 guests, 15 guests, 22 guests, and even 45 or 50 guests for large groups. All vehicles are equipped with air-conditioning for your comfort. Can you accommodate a large group that will allow us to tour together? Yes. We have air-conditioned vehicles with accommodations for up to 50 guests. Please be sure to include your group size when scheduling your tour so that we may best accommodate you and your group. Due to our cash-only payment option, we currently do not charge a cancellation fee or offer a refund policy. Can I book a tour when I arrive in Jamaica? It is highly recommended to book all tours in advance to ensure that our guests get the most out of their touring experience. If you forget, please contact us. Let us know you are in Jamaica and what you would like to do and when. If we can accommodate your request in our current schedule, we would be more than happy to mon! What You Need To Know – Know Jamaica answers the most common questions we receive regarding traveling to Jamaica in general. Is the tap water safe to drink in Jamaica? Yes. The water is safe to drink in Jamaica. In some very remote parts, most tourists never visit, filtration is recommended before drinking. Is getting around Jamaica expensive? It depends on what you want to see and where you are staying. If you need to travel across the island, driver services could be considered expensive to some. Cars drive on the left side of the road in Jamaica. It is not recommended you drive a rental car unless you are very familiar with the laws and comfortable with the speed of traffic and potholes on many roads. The official currency is the Jamaican dollar. USD is accepted in most places in Jamaica. If you plan on doing business with the locals, you will get a better deal if you convert your currency to Jamaican dollars first. Credit cards are also accepted at many resorts and other high profile places. If possible, convert your currency before traveling to Jamaica. Marijuana is a part of the Reggae religion and Jamaica as a whole. Recent changes to the Jamaican law now state marijuana is legal. If you want to part-take in marijuana use while in Jamaica, you should do so. Just be smart about it. Don’t be smoking out in public or showing off your stash. If you do not want any part of marijuana while in Jamaica, no worries. Many locals support themselves and their families by selling small amounts of marijuana to tourists. You will almost certainly be approached by several people wanting to sell you marijuana. Please just be respectful and say no if you are not interested, and if you are, knock yourself out. What's up with the food in Jamaica? You have probably heard about our Jerk! Jerk chicken, pork, and fish. You should try them all. Try to get some somewhere else other than a resort for a more authentic Jerk! Ackee and saltfish is our national dish. Make sure you enjoy some fresh fruit while in Jamaica! Are there beaches on all coasts? Overwhelmingly yes. There are parts of the island where the shore is more cliffs than beach though. Jamaica does have parts you probably should not go like any country or major city. If you stay on your resort or with your tour guide, you have nothing to worry about. Once you experience Jamaica once you will see for yourself how welcoming the Jamaican people are. Jamaica survives on tourism. The country as a whole wants to make sure you have a great stay while here. 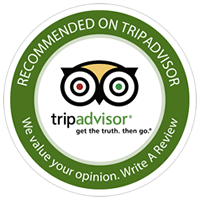 We just want you to know that some resorts don’t provide the ‘authentic’ Jamaican food experience and tours/activities included with all-inclusive stays are usually nothing too exciting. Even if you do stay at an all-inclusive resort, we would love to pick you up and give you a truly authentic Jamaican experience! Get to Know Jamaica with us! We will make sure you have a safe trip and get to do everything you want at the guaranteed lowest price. Once you get to Know Jamaica, you’re part of the family. What’s the Weather Like in Jamaica?